After discovering a near limitless supply of power in the form of magical crystals, the world found itself in something of an arms race. In this quest for bigger and more zappy means of elimination scientists began to experiment with the crystals and from this, the Arcanalith were built. Drawing on the power of the crystals, these mechanical soldiers fought with such power that the people of the world were forced to leave their homes and take refuge in the mountains, far from the chaos below. Centuries on, the Arcanalith have long since wiped each other out and the people go about their daily lives in their mountainous homes. However, unbeknownst to these peaceful villagers, far below the fog of war that separates the peaks from the old battlegrounds something has begun to stir. As the Arcanalith rise from the earth, it is up to the player to knock them back down. To achieve this goal we’ll be supplying various forms of siege weaponry and magical defences that we advise aiming at the mystical robots that will be attacking. Over time, players will earn new layers and be able to build taller towers as they move onwards to take on the biggest and most dangerous of the Arcanalith. Seven varied layers with which to fight the magical robot enemies. 15 different enemy types with 4 epic bosses. 16 Levels of frantic artillery style combat. Multiple difficulties including an old-school Arcade Mode. Coming to iOS and Android tablet platforms. 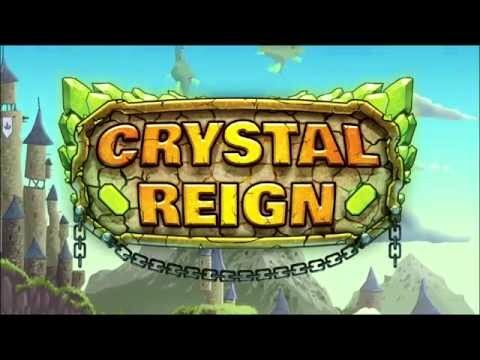 May 8th, 2014: Crystal Reign is OUT NOW!